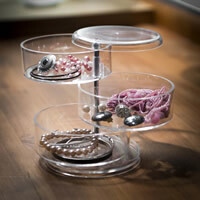 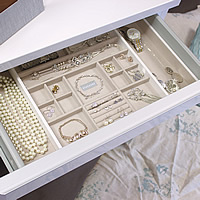 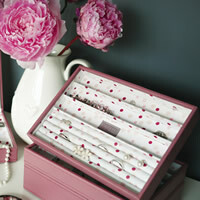 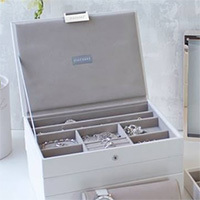 This stylish jewellery storage box is new in to STORE and offers a great solution to protect your treasured charm collection. 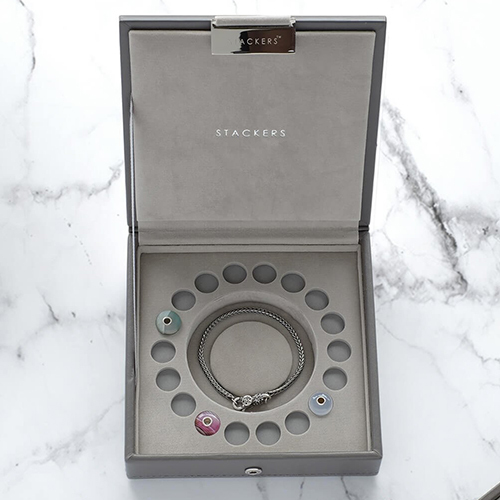 Finished in a choice of faux leather colour options, the lidded box features a charm bracelet pad in the centre and as shown 18 charm dimples to store your other cherished Pandora etc. 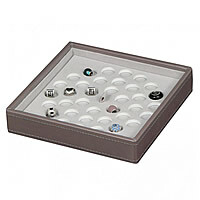 charms. 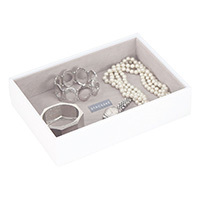 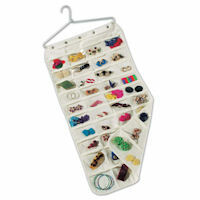 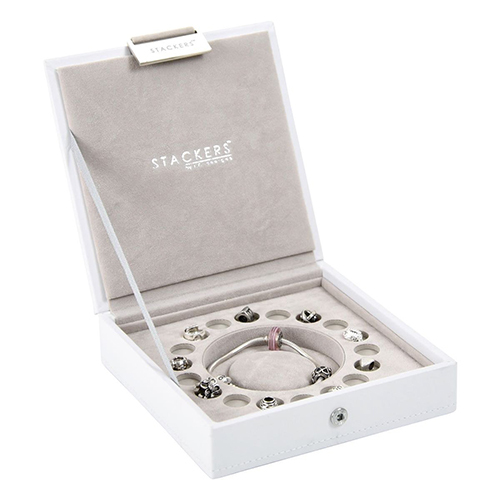 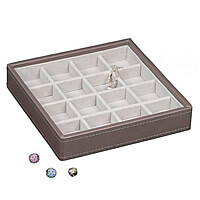 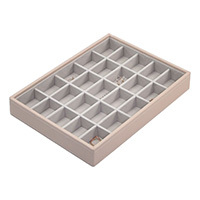 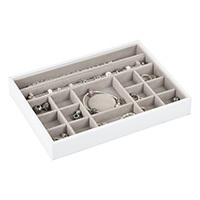 Our lidded charm jewellery storage box can be used alone or stacked with our other interlocking matching jewellery storage boxes to provide a bespoke modular solution for your bead or charm collection.